...... You can visually select the desired part and perform basic editing, such as cut, copy, paste, mix and trim. The interface has a slider bar to display position for cutting. Scrolling and zooming help you to determine the sound fragment to work with. The new sound file can be over 2 GB in size. The software supports fast audio editing without recompression. The program provides drag-and-drop simplicity and a built-in player for pre-listening of songs. The software is suitable even for beginners who are editing MP3 files for the first time. split, cut mp3, ogg vorbis, wma, wav files. Qweas is providing links to Free MP3 WMA Cutter 3.7.7 as a courtesy, and makes no representations regarding Free MP3 WMA Cutter or any other applications or any information related thereto. Any questions, complaints or claims regarding this application Free MP3 WMA Cutter 3.7.7 must be directed to the appropriate software vendor. 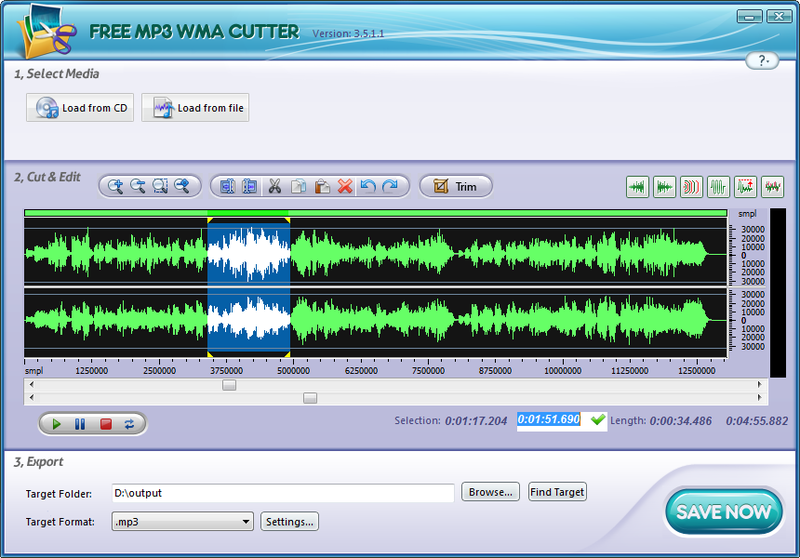 You may click the publisher link of Free MP3 WMA Cutter on the top of this page to get more details about the vendor.